This past week I spent at the beach reconnecting with my soul. The world had worn me down with unrelenting bad news. Inexorable waves of violence, bigotry, broken lives and relationships slapped me, rushing out from the screen; social media spawned the undertow. One evening I stood on the quiet balcony looking out into the darkness. 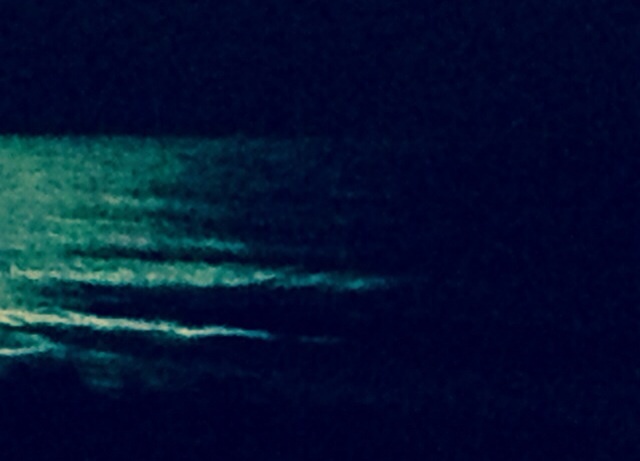 My daughter had told me the waves were astronomically high because the moon was so close. All I knew was that I was spent. I searched for the moon but saw only the faintest blush behind the clouds. The ocean was pitch dark and blended with the sky, only known to me by a deep rumbling cascade and faint whitecaps. Overwhelmed, it was time to reconnect with my soul. Time to be guided by what I held to be most true. What must guide me is the fundamental dignity of each person. The certainty that within us all is a spark of the divine. A spark that may flicker, be hidden, but remains deep within each of us. What must inform me is the knowledge others possess as well as what I might know. An openness that wisdom can come surprising ways. What I must recognize and accept is brokenness; the failings, pain and weakness of all of us. That the path to healing runs through each person I meet. That I cannot do it alone. It is through relationships that we are made whole. What must motivate my actions is open compassion. Compassion in each conversation. Compassion without judgment. 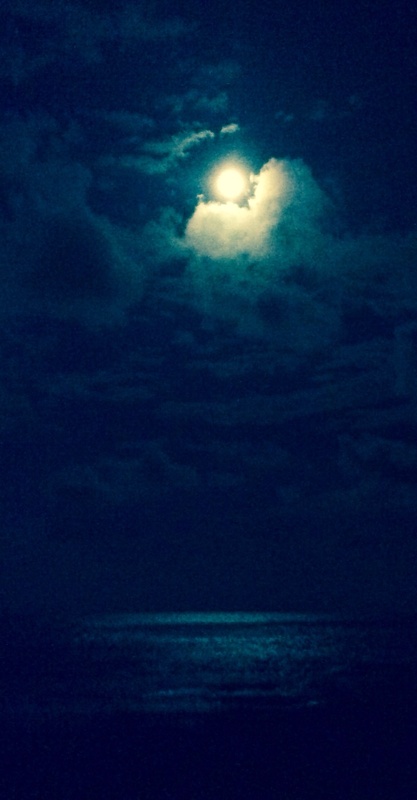 A clear full moon broke through the clouds, scattering a path of diamond drops across the waves. When faced with astronomically high waves, reconnect with the soul.